The hardworking members of the Razorback Crewmembers Association have succeeded in doing what only a few other submarine museums have done - start one of the engines. The #1 main diesel engine aboard Razorback was started briefly on April 11th, and then run again on the morning of April 12th, and again that afternoon. This was taken the morning of April 12th. Another video from the morning run. A video from the afternoon test. A video taken from inside Razorback. 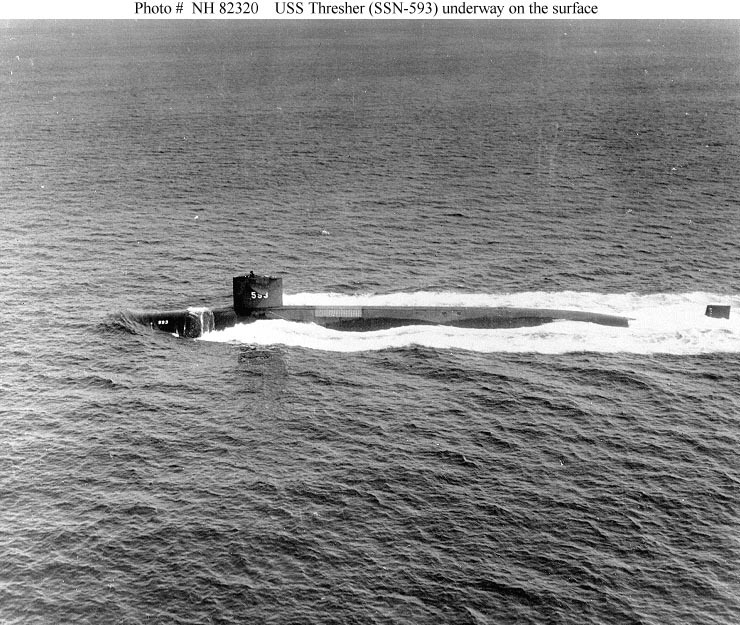 On this day, fifty years ago, USS Thresher (SSN-593), was lost while on post-overhaul trials off Cape Cod, MA. All 129 men aboard her, including her officers, crew and civilian technicians, lost their lives. AIMM has a copy of a "Welcome Aboard" booklet from Thresher, published just before she was lost, which is available for download. AIMM will open a little later than normal on Saturday, April 6th, due to a special event occurring that morning. We will open at 11:00 a.m.